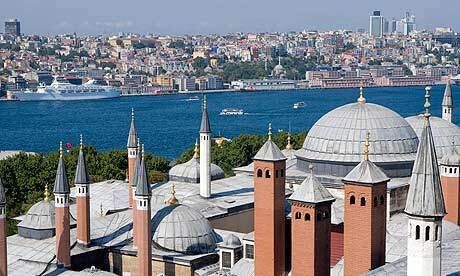 We are specialized in Istanbul Guided Tours, with authorized / official Istanbul guides and transportation. The city's most unexpectedly romantic attraction, the Basilica Cistern, offers an insight into the complicated system that once brought drinking water into Istanbul from Thrace (an area of the south-east Balkans now constituting Turkish land n the European mainland, and a chunk of Bulgaria). Constructed in the sixth century and then forgotten for centuries, the cistern that once stored the water has been fitted with lights and music. Fish flitter around the bases of the 336 columns that support the ceiling. Don't miss the upside-down head of Medusa that forms the bottom of one column, proof that Byzantine builders saw Roman relics as little more than reusable rubble. 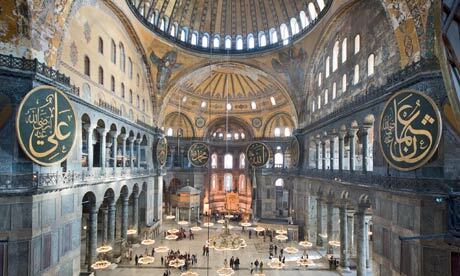 After decades in which scaffolding cluttered the interior of Emperor Justinian's sixth-century Byzantine masterpiece, the thrill of being able to experience the extraordinary spaciousness of this famous church-turned-mosque-turned museum is hard to overstate. Downstairs the building is largely empty; the best of the glittering mosaics lurk in the galleries upstairs. Newly opened are the tombs of several early Ottoman sultans and their slaughtered sons – before primogeniture new sultans immediately had all potential rivals killed. Before the end of the year, the city's finest carpets will go on display in the soup kitchen added after the church was turned into a mosque. If there is one absolute must-see in Istanbul, it has to be the Topkapi Palace, home to generations of sultans and their wives, who were closeted in the famous harem. A collection of lush green courtyards and delicate kiosks, the Topkapi boasts a treasury to put the crown jewels in the shade, as well as views to die for over the Sea of Marmara, Bosphorus and Golden Horn. 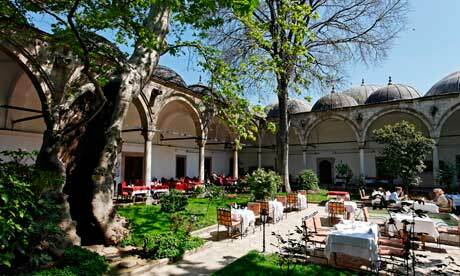 The secretive harem – really just the family quarters – is a warren of lushly-tiled rooms wrapped round a gem of a Turkish bath. Try to visit on a day when no cruise ship is in town to avoid the worst of the crowds. There are several magnificent steamy Ottoman bathhouses to choose from in the city, including the Çemberlitaş, Cağaloğlu, Galatasaray and Sülemaniye baths, but in 2011 for the first time it's also possible for visitors to try out the spectacular 16th-century Ayasofya Hürrem Sultan Hamam right in Sultanahmet Square and designed for Suleiman the Magnificent's scheming wife Roxelana. Think acres of marble, the sound of running water echoing around stupendous domes, and a massage fit for a sultan. You'll come out almost purring. 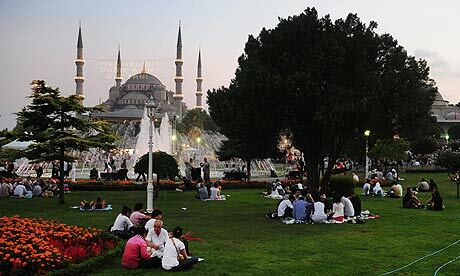 Facing Aya Sofya across a small park and mirroring its domed silhouette, the early 17th-century Blue Mosque is one of only a handful of mosques in the world to boast six minarets. Is it really blue? Well, not noticeably, although all the walls are papered with fine İznik tiles. To view it as the architect, Sedefkar Mehmed Aga, originally intended, enter via what looks like the side entrance from the Hippodrome. Afterwards, pop your head into a building the size of a small mosque on the corner of the complex. This houses the tomb of Sultan Ahmed I, the man who gave his name to both the mosque and the neighbourhood. Walk to Istanbul's three-in-one equivalent of the British Museum via the grounds of Topkapi Palace or through Gulhane Park. If time is tight, go straight to the large porticoed building housing the glorious sarcophagus of Alexander which depicts scenes from the life of Alexander the Great in vivid 3D. Kids will love the model Trojan Horse in the children's section. Then pop into the lovely Tiled Pavilion, one of the city's oldest Ottoman structures, beautifully restored to show off its finest ceramics. 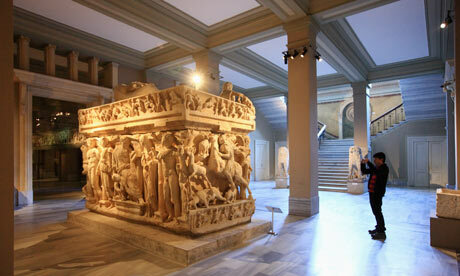 Finally, catch a glimpse of a peace treaty from 1269 BC preserved in the part of the museum nearest to the gate. Housed in what was originally the palace of Ibrahim Pasha, a favourite grand vizier of Suleiman the Magnificent, and overlooking the Hippodrome where Byzantine lovers of chariot racing once brought the same passion to their sport as modern Turks do to football, this museum houses a magnificent collection of gigantic carpets from all over the country. Its basement features reconstructions of everything from a fully-fitted nomad tent to a grand interior from a 19th-century Bursa mansion. Don't leave without trying a thick black Turkish coffee in the pretty cafe in the grounds. Unmissable as you stand on the busy Galata bridge and look up at the city's historic skyline is the mosque designed by the great Ottoman architect Sinan for Suleiman the Magnificent. Newly restored to its original splendour, it is generally regarded as the finest of the 42 surviving mosques he designed for Istanbul. 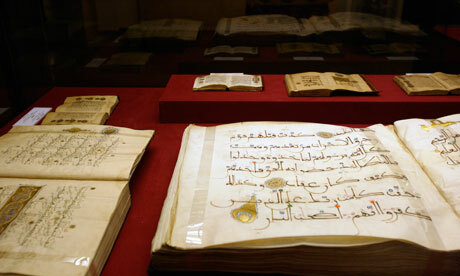 Unusually, it retains much of the original complex of social service buildings that came attached to it, including several madrasahs, a hospital, a library and a hamam. Locals come here to eat kuru fasuliye, the Turkish take on baked beans, in a street once haunted by opium addicts. It's a bit of a schlep to get there but the restored Chora Church in the old city walls offers a stunning glimpse of late Byzantine splendour, its walls and ceilings adorned with glittering mosaics and breath-taking frescoes. Like Aya Sofya, it has made the journey from Byzantine church to Ottoman mosque and then to modern museum, and now stands in a neighbourhood of restored Ottoman wooden houses, prettily painted in pastel colours. 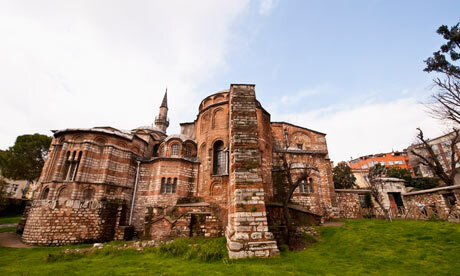 Before you go back to your hotel, take a look at the nearby walls that ringed old Constantinople and date back to the fifth century. Watery Istanbul is a city that cries out to be viewed from on high, and you can get a bird's-eye view of everything from the balcony at the top of the Galata Tower in Beyoğlu, the modern part of old Istanbul that, in pre-Republican days, was home to the city's foreign residents. Built in 1348, the tower once formed part of a sub-city belonging to the Genoese that stretched right down to the Bosphorus. 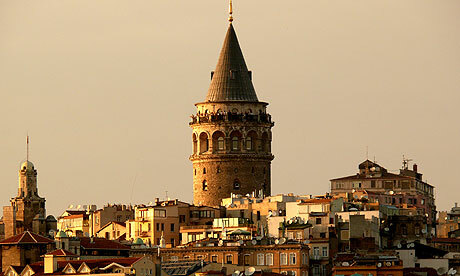 In a footnote to aviation history, it was from this tower that Hezârfen Ahmed Çelebi flew across the Bosphorus from Europe to Asia in 1638, thus inaugurating the first ever intercontinental flight. Istanbul Airport Transfers. Trustworthy easy Istanbul Taxi from Airport to any resort. Book online, pay by credit card or PayPal and enjoy a fist class service with 24 hours assistance. Reserve in advance your Istanbul Airport Transfers with us. We deliver priority collection at airport and fixed price. Meet & Greet at airport and hotel. Driver will be waiting for you at airport arrival lounge or hotel main lobby with a nameboardboard showing your name. Flight arrivals monitoring. Your pickup time will be updated in case of flight delay.